Join us for The History of Religion on Monday, February 4 & Tuesday, February 5. Job posted January 11, 2018. Open until filled. Join us for Jeune Terre on Monday, January 14 & Tuesday, January 15. Join us for Darling Boud (as in Loud) on Monday, December 3 & Tuesday, December 4. 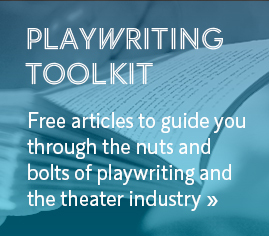 Find an artistic home at the Playwrights’ Center—and get paid to be a playwright. Our programs support playwrights and theater artists at various stages in their careers, from beginning to emerging to established.